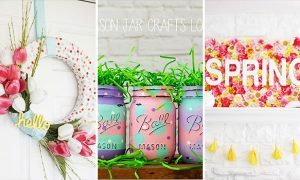 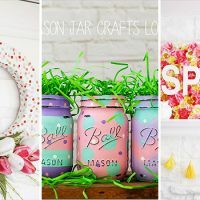 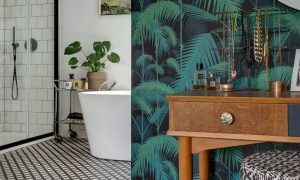 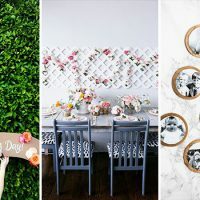 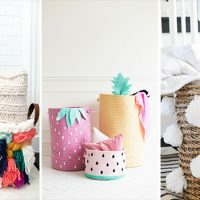 If you have a traditional house, country-style home, or if you want to modernize your vacation retreat, these ideas are right for you. 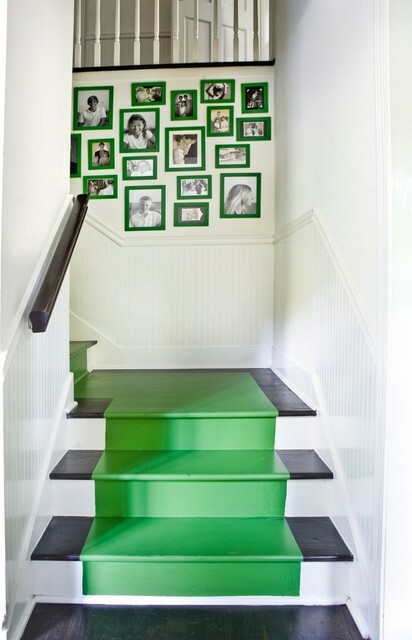 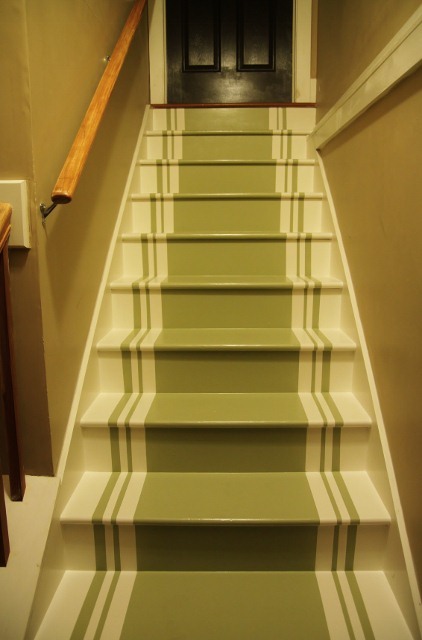 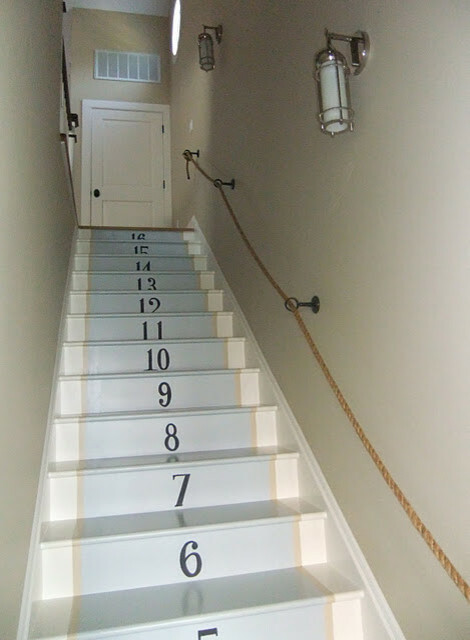 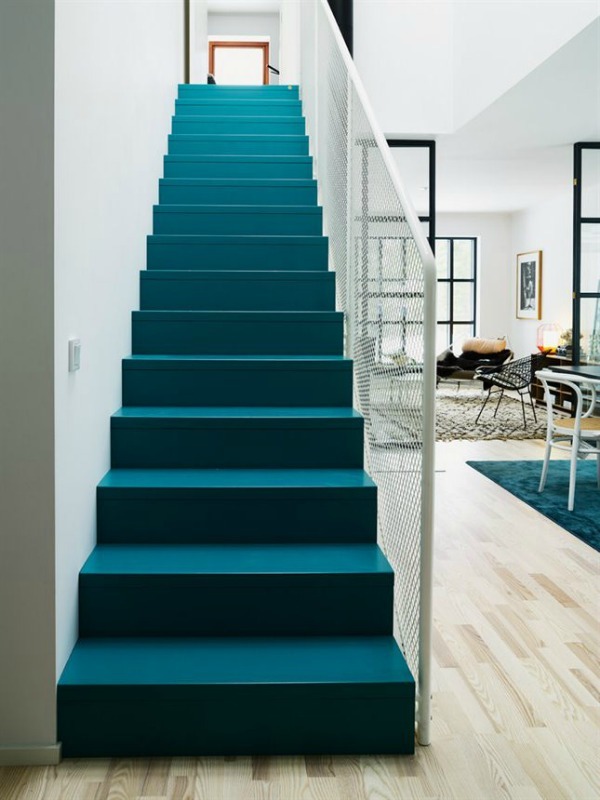 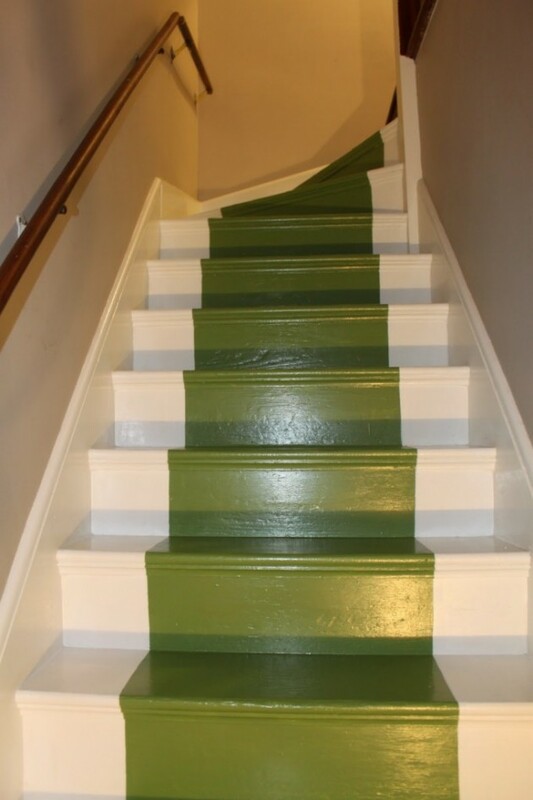 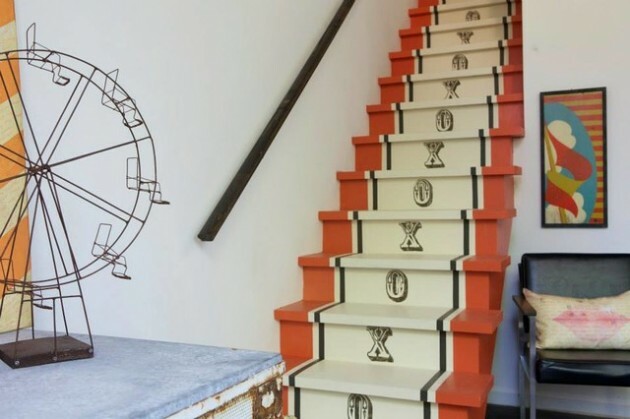 Instead of using a carpet, lay down some paint and give your stairs fresh fancy look. 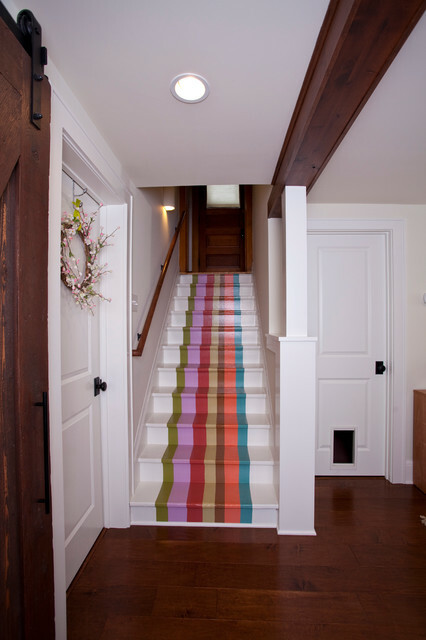 The regular stair runners are very good option for the stairs, but sometimes we want something unusual but modern. 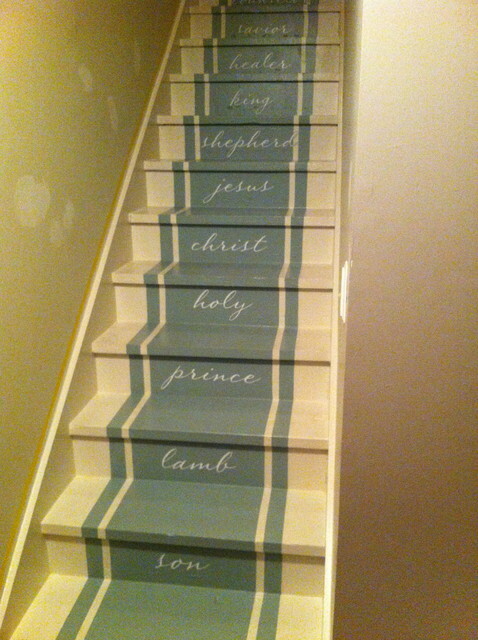 They will bring freshness and diversity to your home. 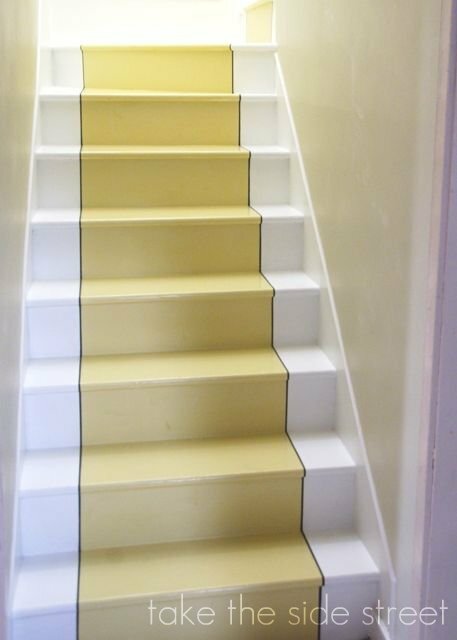 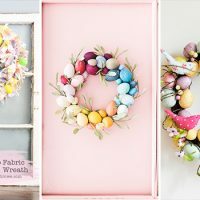 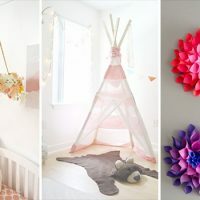 Best of all, these ideas will cost less than a carpet, and you can do them by yourself, with the usual stuff for painting. 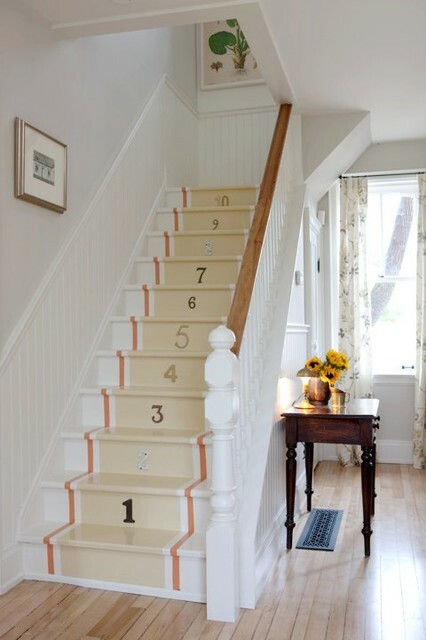 Tip 1. 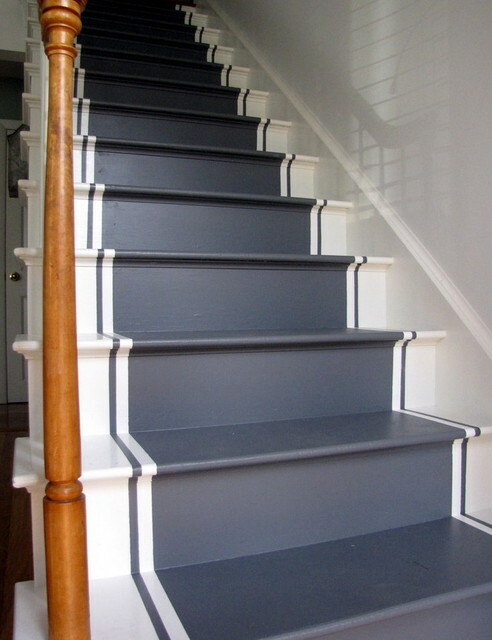 For the best results choose a color specially formulated for floors. 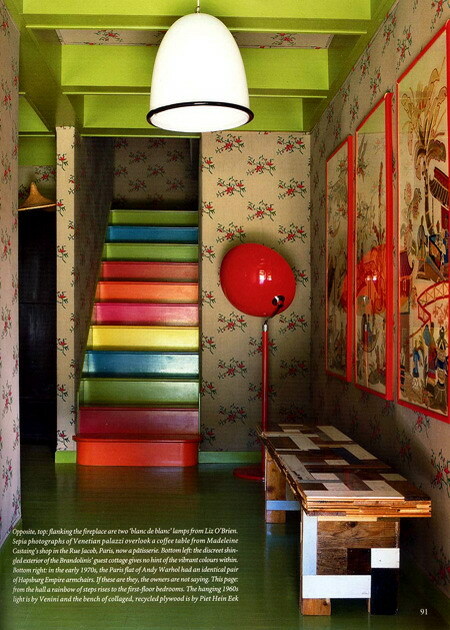 Tip 2. 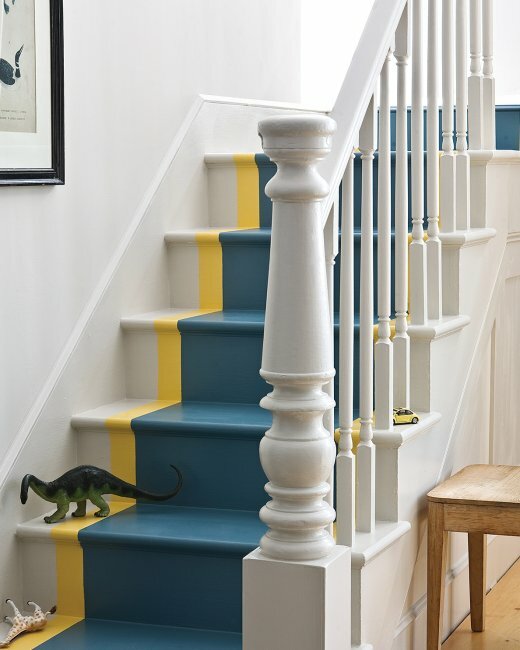 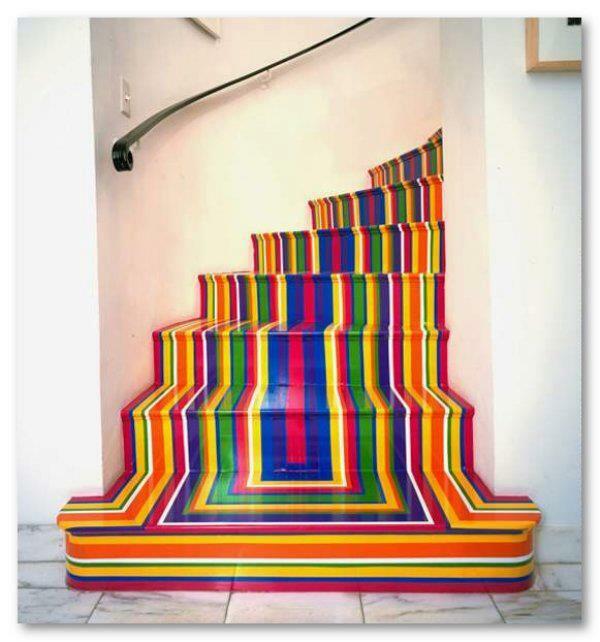 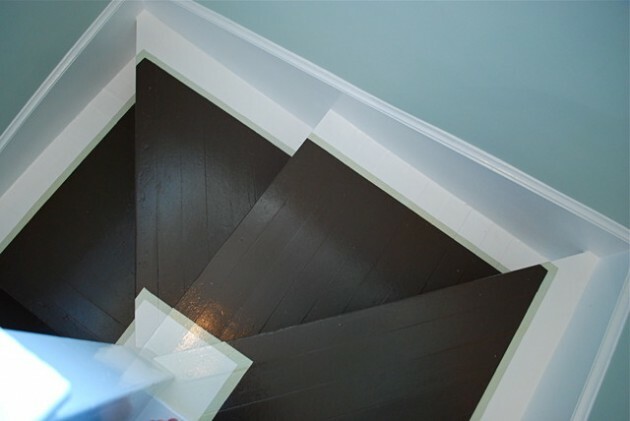 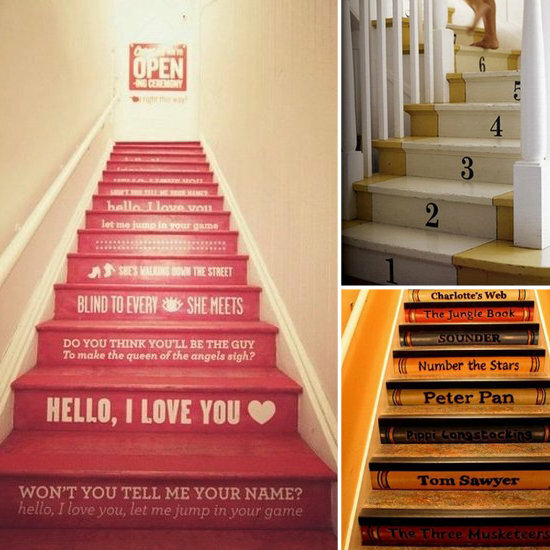 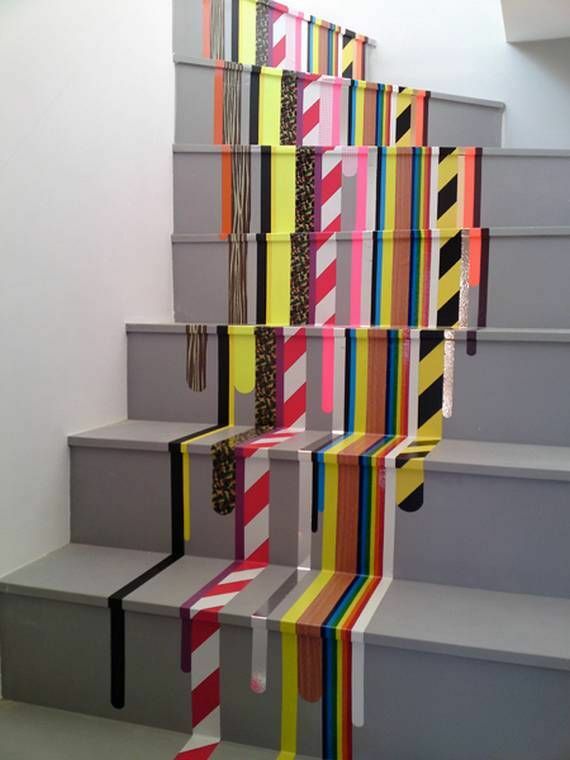 For your safety from slipping on the painted stairs, add to the paint non-skid additives to provide better traction. 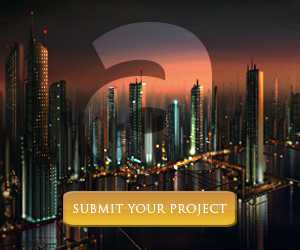 Tip 3. 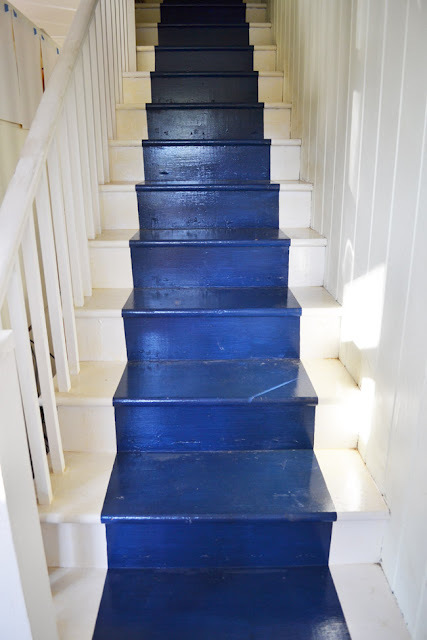 After painting allow your stairs good drying at least 24 hours. 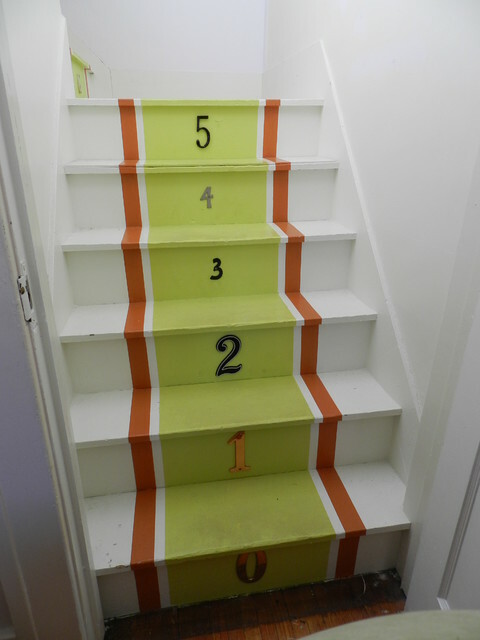 Tip 4. 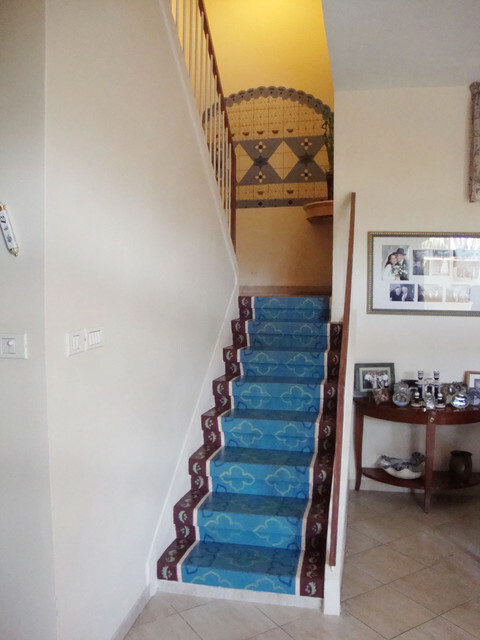 There are many ways for painting stair runners, you just need to choose your favorite color or pattern to fit with the whole interior style.